My weight problem started when I was a kid. I was always hungry, and I would sneak food from the kitchen as early as 8 years old. I was overweight but I was active through high school. I had 2 children by the time I was 21, and I never lost the pregnancy weight. After my mom died, the weight really packed on. Being obese affected every aspect of my life. In February 2013, I weighed 268 pounds. My blood pressure was high, and I was on several different medications. I had been diagnosed with asthma, Fibromyalgia, anxiety, depression, sleep disorder, and hypothyroidism. My body hurt from the time I got out of bed until the time I crawled back into bed at night. The major turning point for me was my daughters college graduation. She graduated in May 2014. When she was home for Christmas break in December 2012 and she was talking about how she couldn’t wait for us to come visit when she graduates. She was excited about showing us around Philadelphia. Then she said that there would be a lot of walking. I knew then that I was going to have to do something because there was no way I would be able to do all the walking she was describing. A few months later (February 2013), I went to the doctor, and weighed in at 268. That’s the most I had ever weighed. I sat in the doctors office and cried. I asked him what I should do. He suggested I cut out as much salt as possible, and cut sugar. I could cut the salt, but didn’t think I could cut out sugar. That first month, I lost 4 pounds. Then one of my coworkers came in one day and was excited about losing 15 pounds in a matter of weeks. I asked him what he was doing. He looked at me and said, “you can do this.” Then he explained the details of a low carb diet. I was skeptical, but ready to try just about anything at this point. I saw results within days. I started out keeping carbs around 150 a day, and 4 pounds in 5 days. 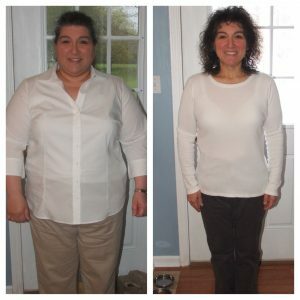 The first month brought a loss of 22 pounds. Eventually, I kept carbs between 20 and 50 net carbs a day. The biggest challenge for me, was exercise. I had not exercised for nearly 20 years. I didn’t like it, didn’t want to do it, didn’t have time for it, etc. So I started out just walking, and I didn’t start that immediately. I waited several months before starting. The first time I walked, I walked less than half a mile, and it took me 30 minutes to do it. I started running about a year later, and haven’t stopped! I don’t think I ever wanted to give up. The more results I saw, the more determined I became. I did hit some plateaus, and it was very frustrating, but I just kept going. I kept making good choices, and I kept exercising. The few plateaus I did hit, usually lasted just a week or so. 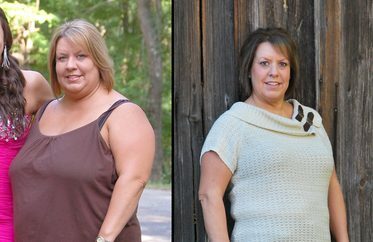 It took me 10 months to lose 120 pounds. I reached my goal a couple of months before my daughter graduated in May 2014. We spent 2 days walking around Philadelphia and then drove to Washington DC and walked around DC for 2 days. We walked 40 miles in those 4 days, and I had no trouble! The biggest non-scale victory for me is that I am no longer on all the medication I was on. I still take my thyroid medicine, but it’s the only one I take now. My body doesn’t hurt all the time anymore either. Before I lost weight, I didn’t eat much. I had only 1 or 2 meals a day, that consisted of a lot of breads and pastas, and a lot of processed foods. My diet today, consists of whole foods. I eat a lot of vegetables and some fruit. I eat a little bit of meat and dairy, but I limit the amounts. I eat healthy fats like nuts and seeds, olive oil, coconut oil, real butter, and avocado. The biggest change is that I eat 3 meals and 2 or 3 snacks a day. Breakfast is my biggest meal of the day, and dinner is the smallest meal. When I was heavier, I wasn’t physically active at all. Now, I walk, run, bike, swim, lift weights, do zumba, some yoga, just whatever I feel like doing. I have completed several 5 K’s, 2 10 K’s, and a half marathon. I’m hoping to complete my first full marathon in the spring of 2016. I think one of the biggest things that helped me was to find what I like doing, and then do it. Take it one day at a time, one pound at a time. 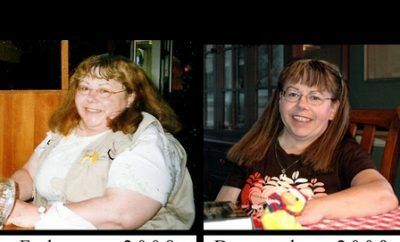 I never thought in terms of “I have to lose 120 pounds.” Once I started losing, I would tell myself, “Ok, you weigh 230 today, I want 229.” I didn’t give myself a time limit on it, I just focused on losing 1 pound.